Brixton (now part of south west London). The company gained its current name from the location of its first manufacturing operation; opened in 1908 in the shadow of the Monument to the Great Fire of London, it produced plumbing and roofing tools — products that remain at the heart of the company’s portfolio some five generations later. Now located in Hackbridge (also part of south west London), Monument Tools is led by chairman John Collier and his son Jonathan and is still family-owned. 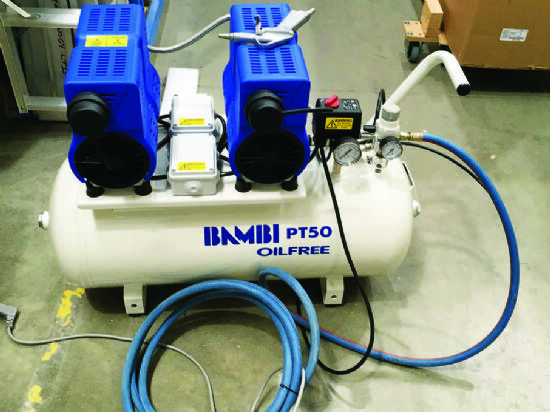 Like many businesses with a long history, the company has seen many ups and downs, but it has always maintained a reputation for developing what are now industry-standard tools for the plumbing and roofing industries — such as Shetack basin wrenches and automatic pipe cutters. Continuing innovation has seen Monument Tools increase its sales significantly, and exports now account for 20% of overall revenues. John Collier said: “Innovation is key to our market-driven product development; and as our aim is to only develop new products that have potential to generate volume sales, we place great emphasis on market research. “Our development process also necessitates investment in CNC technology for product manufacturing, as well as supporting our research and development. 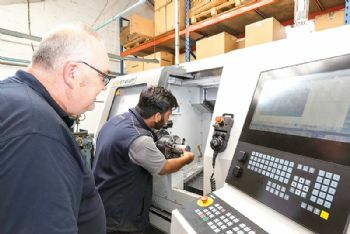 The most recent investment saw the installation of a CT65LTY turning centre from Burlescombe-based XYZ Machine Tools (www.xyzmachinetools.com) for use in the tool-room. This compact machine features a Siemens 828D ShopTurn conversational control, 70mm of Y-axis travel and a 400mm swing. Other standard equipment includes a 200mm hydraulic chuck, a 12-station VDI turret (all stations with live tooling capability), Renishaw tool setting and part probing, a swarf conveyor and a fully programmable tailstock. John Collier said: “We needed a machine that could machine parts in a single hit, to reduce development time and labour costs. “The simplicity of the control and our use of off-line programming means we can quickly produce batches of 10 prototypes and confirm that the design is both suitable for our customers’ needs and production-ready for machining batches of over 1,000. The installation of the CT65LTY brought an additional bonus, when a local company heard about it. Monument Tools’ engineering manager — Jon Norton — said: “We only took delivery of the machine in June, but word soon spread, and we were approached to see if we would be interested in taking on some sub-contract work that involved quite complex turning, with tapers on external and internal surfaces. This ease of use has also resulted in Mr Norton planning to use the machine as part of the training programme for the company’s six apprentices; this programme covers every aspect of the business, including injection moulding, CAD/CAM, basic milling and turning, and operating the various CNC machines in the factory. John Collier says that the CT65LTY at Monument Tools typifies the company’s on-going investment in CNC mill-turn equipment, which is designed to ensure that it remains competitive through efficiency gains. “Without these investments in the latest machining technology, we would have been out of business many years ago.